Hector Avalos has produced an invaluable contribution to the field of religious studies in his book The Origins of Religious Violence. He presents a radical new theory to religious violence based on the creation of scarce resources. Through this theory he contrasts religious violence with secular (or nonreligious) violence and applies it to the field of international politics and foreign policy. I will briefly present an overview of his ideas. Avalos presents two main propositions: (1) “Most violence”, he says, “is due to scarce resources, real or perceived. Whenever people perceive that there is not enough of something they value, conflict may ensue to maintain or acquire that resource. This can range from love in a family to oil on a global scale.” (2) “When religion causes violence, it often does so because it has created new scarce resources” (18). Avalos outline four main scarce resources that are created by religion: access to the divine will (particularity through inscripturation), sacred space, group privileging and salvation. I will return to how religion creates these scarce resources later on. Avalos defines religion as a “mode of life and thought that presupposes the existence of, and a relationship with, supernatural forces and/or beings” (103). He uses an empirico-rationalist approach, which states, “unreasonable beliefs are those that neither can be verified nor are based on verifiable phenomena” (27). We define natural as that which by one or more of the five senses and/or logic. The supernatural must be unknown or unknowable. If we could detect it, it would cease to be supernatural. Avalos concludes, “if it is not natural then it is nothing more than a concept whose reality cannot be verified” (103). As opposed to verifiable resource scarcities such as water, food and shelter, scarcities generated by religion require only belief in them in order to exist. The competition for these resources can cause conflict when the competitors need to acquire it or feel that loss of control of the resource will somehow threaten their well being (79). Religious believers can thus die or kill over a perceived scarcity that in actuality is not scarce at all. Violence predicated on the acquisition or maintenance of an unverifiable resource is simply needless. Bodily wellbeing, or life, is being traded for nonexistent gain. The scarce resources created by religion are completely manufactured by, or reliant upon, unverifiable premises. Thus, religion causes violence if and when the perpetration of violence is a logical consequence of beliefs in unverifiable forces and/or beings. “A scarce resource X created by religion may cause violence when at least one of two or more persons or groups (1) desires to acquire or maintain X, and (2) believes violence is an allowable and proper method to acquire and/or maintain X” (22). Avalos spends time discussing previous theories of religious violence. If will briefly present his main point. 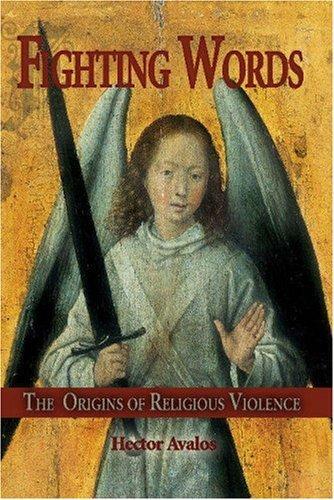 “Current theories of religious violence” he says, “are still permeated by the idea that religion is essentially good and that violence is a deviation” (93). Previous theories are thus incomplete. Religious violence is seen as unrepresentative while the true religion and real god is being distorted. Avalos criticizes the claim that religious violence is a response to modernism and secularism. He says that it allows religious apologists to retain the value of religion, while deflecting the fundamentals mechanisms of violence to which all religions are susceptible. “Such militants are violent because modernism and secularization threaten the scarce resources (e.g., salvation, sacred space) that their belief systems have manufactured” (80). Similar to Rodney Stark, Regina Schwartz argued that because monotheism automatically creates a group of insiders and outsiders, the creation of outsiders is itself a violent act. Diana Edelman then argued for inclusive monotheism that acknowledges various forms of one supreme deity. This once again, is an attempt to keep the value of religion while claiming that violent religion is simply an aberration. Avalos, in regards to monotheism said, “The creation of scarce resources may occur when the adherents of a religion claim that the benefits of that religion are not or cannot be equally distributed to all human beings” (22). Outsiders are denied access to benefits provided by that one god. These benefits could be anything ranging from land to national identity. Avalos argues that the Abrahamic religions (Judaism, Christianity, and Islam) are all heavily dependent on violence premises in that “they all regard their scriptures as sacred despite the violence endorsed therein” (29). Religion does not always cause violence, he says, but religion is inherently prone to violence. Any theory of religious violence must address the fundamental susceptibility to violence based on the creation of scarce resources, in this case, unverifiable resources. What are scarce resources? They can be anything from tangible resources such as food, as elaborated by those such as Amartya Sen (and within economic theory, Thomas Malthus), to power and status within families, communities and countries. Scarce resources can incite ethnic conflicts and create immigration issues. It is based in the fear of losing a valued resource or of losing control of a resource. There are economic/status based threats and cultural/symbolic threats, which would include religion and way of life. This inherently brings up geopolitics and the control of resources deemed valuable. The “militarization of space” can be seen as a direct consequence of seeing space and a precious and scarce resource (99), which I will return to shortly. The idea that insufficiency is a major, if not the main, cause of conflict is not new. Whenever there is not enough of something that is valued, conflict is the likely result. Scarcities are related to conflict from the smaller social units to the largest sociopolitical entities. And while a broad spectrum of researchers see the importance of scarcities, none of them seems to appreciate fully how religion can create scarce resources. What unites all of the scarcities, even those that are human-made, is that they exist or can exist. Available quantities of oil can really be insufficient to meet the needs or wants of people. Love and justice can really be insufficient in a family. “But these scarcities differ in important ways from scarcities that are precipitated by religion. Those differences, we shall argue, render religion a more tragic source of violence” (100). Religion creates scarce resources in four main ways, through inscripturation, scared space, group privileging and salvation. Inscripturation refers to the creation of a written account of what is “believed to be authoritative information about or from supernatural forces and/or beings…what readers believe to be the thoughts and actions of a deity or supernatural force” (104). Writing becomes a scarce resource when not everyone has access to the writing or the ability to read. This can be the case with many females in the Muslim world who are denied access to scriptures or cannot become imams. More importantly however, is the creation of a scarce resource based on inscripturation, that of divine communication or religious authority. For example, the Catholic Church is the ultimate interpretative authority on scripture, and Catholics follow their interpretation. A secular example would be the US Supreme Court as being the ultimate interpretive authority on the US Constitution. Avalos says, “when divine communication is believed to reside in one book or set of books, and not in all books, then a sacred canon can be considered a form of sacred space, wherein the word of deities is embodied in those texts” (106). Let us say that population X has declared a certain bounded space was given to them by god, who communicates only with members of population X. While there may be enough physical space for the community, the space has now been made scarce solely because of the belief that a god has declared it to be his property. Any loss of life resulting from that scarcity would be completely wasteful if that god did not in fact exist/ any violence resulting from this belief would be judged wasteful and or immoral (355). Land is scarce already. It is absurd to create a new scarcity of land by calling it “holy” on the basis of unverifiable claims. The idea that anyone needs supernatural salvation is unverifiable. The concept that god or god’s son or anyone else has to die to be saved is not only unverifiable but can be seen as a continuation of ancient violence ideas about blood magic and sacrifice that simply have no place in the modern world. The idea that god died not because it was necessary, but simply to show his love, is equally misguided. The idea that violence is an expression of love is the problem (367). Any person, or group of persons, that threatens another’s salvation can become the object of violence. In all these cases, violence can occur “when the loss of those valued resources is thought to be imminent or when someone else attempts to acquire those scarce resources” (110). Avalos’s main argument is based in comparative ethics, meaning “scarcities caused by unverifiable propositions form a more tragic and preventable violence” (301). Avalos claims “the lack of verifiability in religious belief ethically differentiates the violence attributed to religion from the violence attributed to nonreligious factors” (29). His argument is quite simple. What exists has more value than what does not exist. Life exists. Therefore, life is worth more than what does not exist. Accordingly, any action that places the value of life as equal or less than equal than the value of nothing is immoral. It is always immoral to kill for something that has no value. Avalos says, “since religion is a mode of life and thought premised on the existence of and or relationship with unverifiable supernatural forces and or beings, then it follows that killing for religious reasons is always immoral” (354). Expressed another way, if acts of violence caused by actual (verifiable) scarcities are judged as immoral, then acts of violence caused by resources that are not actually scarce (unverifiable) are more immoral. Religious violence is always immoral. Non religious violence is not always immoral. This is the fundamental ethical difference. The best prospect for a nonviolent global society is a secular humanist hegemony. Violence based on verifiable scarcities is workable, violence based on unverifiable scarcities is simply unnecessary and unhelpful. Avalos presents a few solutions to this problem of religious violence. It is given in the framework of minimization, meaning that we must concentrate on “ ridding ourselves of unnecessary violence” (359). Sacred space, salvation and group privileging are not essential features of religion! His solution is to focus on those resources that people are actually lacking, food, shelter, justice and so on. “Using empirico-rationalist epistemology is the key to determining what people actually need to live” (368). Religion, in this way, is unnecessary for morality. Including god in our moral considerations does not change them, except to add another unnecessary scarce resource and layers of bureaucracy and power structures. Religion should have no place whatsoever in our moral considerations nor should it have a place in finding solutions for religious violence.